June 15 - 17 is a Thursday - Saturday. Whoops! It should be fixed now. Can you read the book ahead of time? 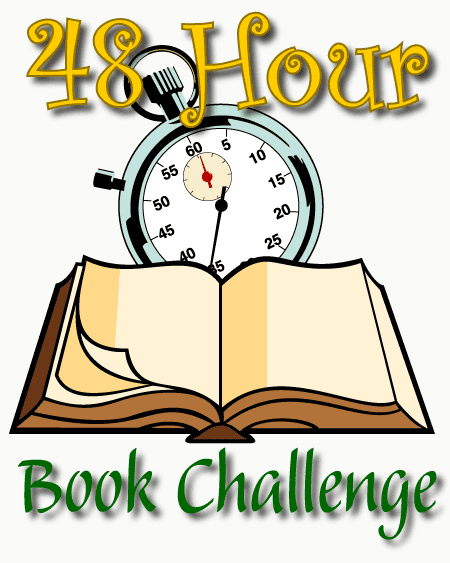 Or is the reading to be done during the same 48 hour limit? Is anyone reading books for the lower grades? 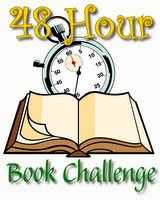 The books need to be read during the 48 hour period. At this point, I am limiting the books to the older elementary/teen books. My idea being that we as readers and reviewers find the time for shorter books, but sometimes the longer books start stacking up. Plus, if we all do the same type of book, the number of books will be more fair for everyone concerned. That said, I am thinking of having a kind of parallel competition that will allow the picture book readers to play along too. It's still in the works, so come back to the site to check. Thanks for your interest. Great idea! I'm throwing my hat in the ring. Are you only looking for 'proper' children's lit bloggers, or are you including people who read you (and sometimes talk about children's/teen books in their own blogs?) Sounds like fun, and I'd be interested if the latter!